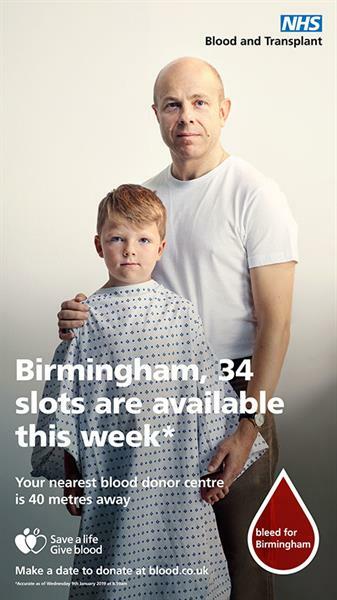 NHS Blood and Transplant wants to make blood donation more personal and local, with an innovative campaign that uses live data from local donor centres alongside images of real blood recipients. Running across Clear Channel’s digital out-of-home network, the ads make people aware of the volume of appointments currently available at their nearest donor centre, including its location, walking distance, and the number of first-time donors seen there in the past week. The campaign targets people in their local area and urges them to visit their closest permanent donation centre as apposed to relying on mobile locations. The images of diverse blood recipients were shot by photographer Dylan Collard.